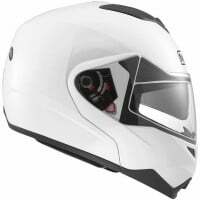 MDS helmets are designed by the makers of AGV so you know that your going to be in safe hands. 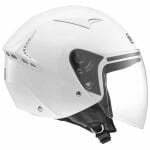 The MDS helmet range utilizes 2 shell sizes and is either made from Fiberglass ACF (Advanced Composite Fibre) or HIR-TH (High Resistant Thermo Plastic Resin). 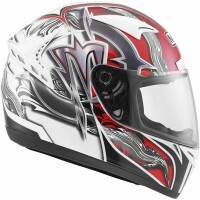 MDS helmets have a range of full face, flip front and open face helmets. This helmet fits snugly and has excellent visibility. I bought it specifically for a US trip in California. I was going through Death Valley so a lightweight helmet with excellent visibility was a necessity and this helmet fitted the bill perfectly. Not my first purchase and I have always been extremely pleased. 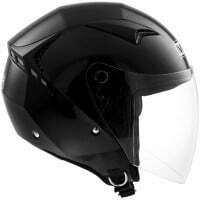 The helmet fits very well and in line with the measurements stated, it does not come up too big or too small. The flip front is easy to manoeuvre even when riding. The visor is operated by a wheel that you turn, this took some getting used to but once you know where the wheel is again it is easy to operate. Only down side so far is that you operate the flip front by putting your thumb into a slot and pushing a button, whilst useful for gloved hands, this hole let's in a larger than normal amount of cold air. This was remedied by wearing a buff whilst riding. Other helmets such as the Caberg Duke have a different system for operating the flip front which allow in less air, but for the price difference I would say the MDS more than competes if you can tolerate wearing your buff over your nose. Earplugs are needed but that's a given for all flip fronts, and should be a given for all riders really. Rated 4 or 5 stars in all safety categories according to Sharp online, it feels as safe as it tested. 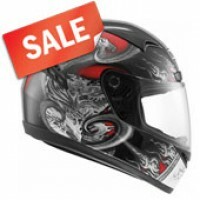 Overall a great value helmet. Love the helmet, feels fairly light and flip up is easy to operate. The sun visor can be a bit tricky to operate with thick gloves but you get the hang of it after a while. The only real fault I would say is that it's loud at high speed, I do city driving mostly so it doesn't affect me but out on open road it is noticeable. Still really like the helmet for it's comfort and convenience.